If you are feeling the pressure of excessive debts that you keep falling behind on and creditors keep calling you for missed payments, you may be questioning whether filing for Bankruptcy is a viable option for your situation. The news is filled with headlines of major corporations filing for bankruptcy or celebrities that are broke and selling off their assets for extra money. But, what exactly does bankruptcy look like for everyday people who get behind on their bills? Here’re are the facts on five common myths about bankruptcy that may help you decide whether bankruptcy is right for you. Bankruptcy permanently ruins your credit. If you have to consider filing for bankruptcy, you may be concerned that your credit will be destroyed forever. But, this is not necessarily the case. One part of the bankruptcy process requires you to undergo credit counseling. These programs can teach you valuable ways to prevent unmanageable debt in the future, and to establish a realistic budget and lifestyle that will help you stay in control of your finances. Within a few months of filing bankruptcy, you may also have the opportunity to open a secured credit card with a minimal spending limit. This can help you rebuild your credit score, as long as you make regular, on-time payments every month. After a few months, you may qualify for a regular credit card again. The process isn’t immediate, but your credit score won’t necessarily be doomed forever. Filing for bankruptcy means you’re financially irresponsible. In most cases, there is an aspect of financial abuse that contributes to excessive debt. However, life sometimes throws us unexpected curveballs that wipe us out financially. Serious injuries or illness with ongoing medical bills, long-term job loss, and divorce can demand every penny you have, leaving you little to no money left over to pay for utilities, mortgage payments, or car loans. Outrageous school loans with high monthly payments don’t take into consideration your living expenses, and threaten your credit. In some cases, those who file for bankruptcy make every attempt to stay in control of their debts, and just simply cannot find an escape from the burden that comes with it. Filing for bankruptcy erases all of your past debts. When you file bankruptcy, nearly all of your debts can be canceled. These debts can include credit cards, personal loans, mortgages, car loans, utilities, medical bills, and other similar types of debts. However, there are a few specific cases in which some debts cannot be canceled, even with a bankruptcy filing. Examples would include: college loan debt, domestic support obligations (spousal support and child support), some tax debts, and any restitution owed due to a crime. Those debts would still need to be paid off after your bankruptcy was completed. Bankruptcy fixes all of your financial woes. Please keep this in mind. Filing for bankruptcy is not an easy solution to avoid paying your bills. When you declare bankruptcy, you could lose your home and many of your possessions. Before filing bankruptcy, it’s best to see if your creditors would be willing to work with you and settle your debts another way. But, if you do choose bankruptcy, then it’s important to change your lifestyle and spending habits to prevent mounting debt in the future. This may mean living a simple, frugal lifestyle for awhile as you work to reestablish your credit and create a budget that will work for you. There are restrictions to how frequently you may file bankruptcy, so it’s important to do everything you can to avoid excessive debt after your bankruptcy is completed. 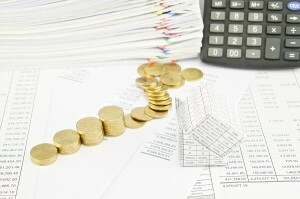 You must have a minimum amount of debt before you can file for bankruptcy. Contrary to popular belief, there is not a minimum amount of debt that one must owe before they would qualify for bankruptcy relief. Your debt amounts can vary, based on your complete financial needs, present income, and the extent of your debts. However, if you are able to pay more than the minimum amount owed on your debts, are not behind on any of your payments, or have a plan in place to take control of your finances, filing for bankruptcy might not be the best option for you. Talking to an experienced bankruptcy attorney and/or a credit counselor can help you determine if this is the best path to explore.